Boil the pasta and set aside. Peel the shrimp and reserve. Sauté heads with oil. When browned add the cream and Natural Foie gras sauce Imperia, cook for 5 minutes over low heat. Filter it using a Chinese strainer and smashing the shrimp heats to extract all the flavour. Cut the squid into strips and sauté with peeled prawns and asparagus. 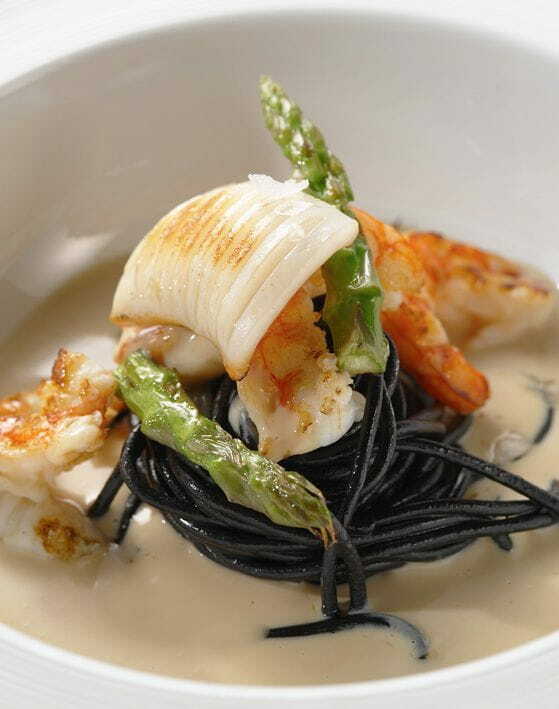 To serve put the cream in a soup plate, add spaghetti and other ingredients.